Convenience stores are Florida's go-to pitstops, for both gas and refreshments. In fact, each and every day in the United States, one out of every 23 dollars spent is at a c-store. Yes, this is a lot of dough, and for c-store operators, a lot of their profits depends on dough. 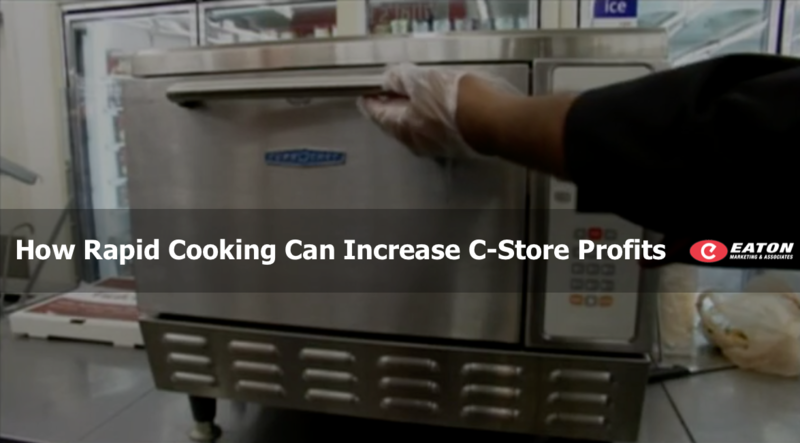 Whether it's pizza, pretzels, hot dogs, or coffee, foodservice is critical to the profitability of a c-store. Despite the fact almost five percent of our spending is in c-stores, much of this is on gasoline, and according to the video posted below from Modern Marvels, c-stores only make about three or four cents per gallon on fuel. This means foodservice items play a central role in profitability. Convenience stores have about two to three minutes to entice guests into additional purchase items, and that only accounts for the customers who do enter the store. This means things must be displayed strategically. It means transactions must be easy and fast. And it also means food and beverage items should be varied and enticing to customers. Watch this fascinating Modern Marvels video on c-stores to learn more about this annual $500 billion industry. Rapid cooking with equipment like TurboChef's ventless, countertop solutions allows c-store operators to provide menu items that would normally take upwards of 10 minutes to prepare in just a matter of minutes. There are a wide range of solutions available, though. From power output to footprint, selecting the right countertop, rapid cooking unit begins with a little research. Start that process with Rapid Cook Solution Guide.